VELATIS has a long history of making Washington, D.C. a little sweeter. 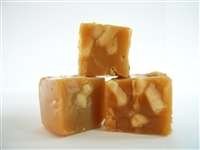 Velatis has been making small batch gourmet handcrafted caramels since 1866. Our European sugary-style caramels, melt-in-your-mouth, and our traditional American chewy-style caramels, are the perfect gift to be shared and enjoyed. We never use chemical additives or preservatives, and our caramels, chocolates, and fine confections are from the highest-quality all natural ingredients, locally sourced whenever possible. Our friendly staff will assist you in choosing from a wide selection of handcrafted caramels, toffees, sea salt turtles, truffles, Belgian chocolates and other sweet treats!